Many thanks to technology the cerebral palsy community continues growing stronger, a fact evident during our most recent focus chat. 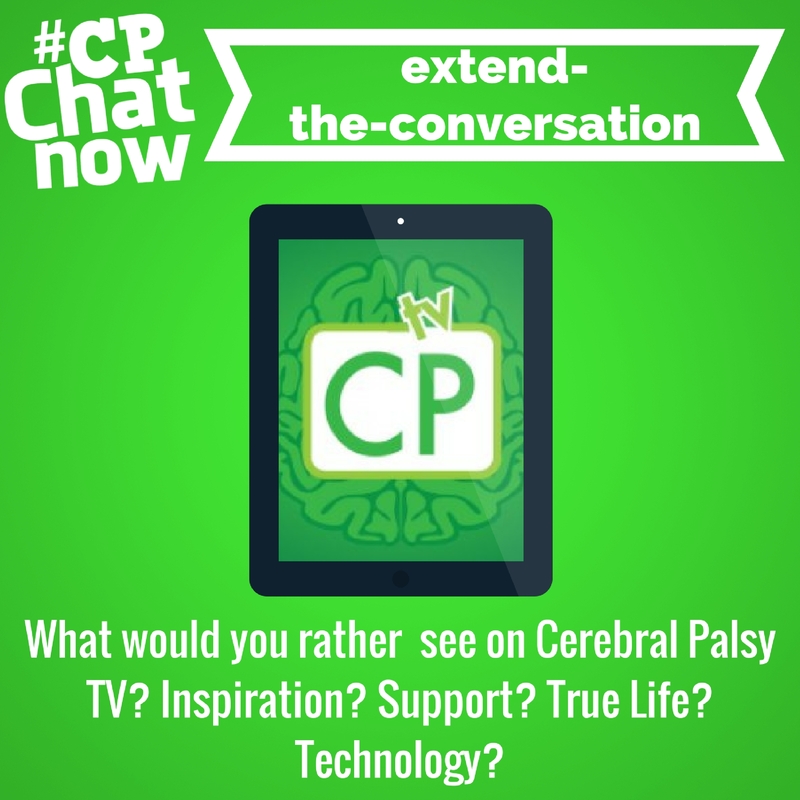 I am #CPChatNow co-host Zachary Fenell, ready to tell you about Cerebral Palsy TV’s (CPTV) visit to #CPChatNow. 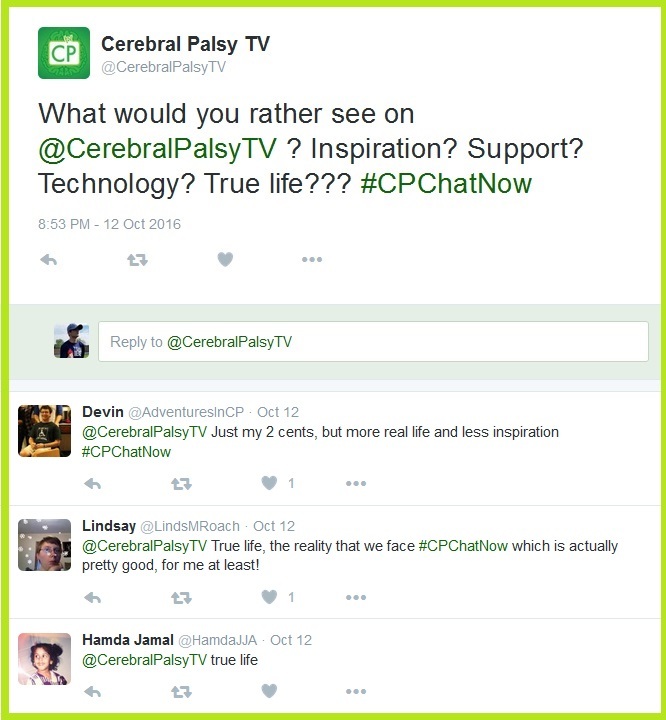 Reaching for the Stars (RFTS) Foundation board member and CPTV founder Brad Searle tweeted from the @CerebralPalsyTV handle. An early question helped us learn more about Brad. Questions flowed in almost continuously, indicating many felt excited. 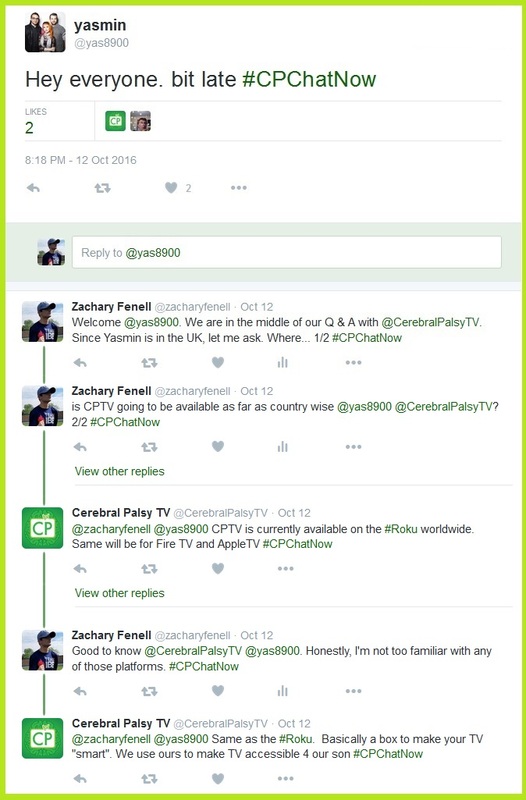 Also curiosity regarding where to find CPTV remained present. The dialogue soon turned to the content available on CPTV. 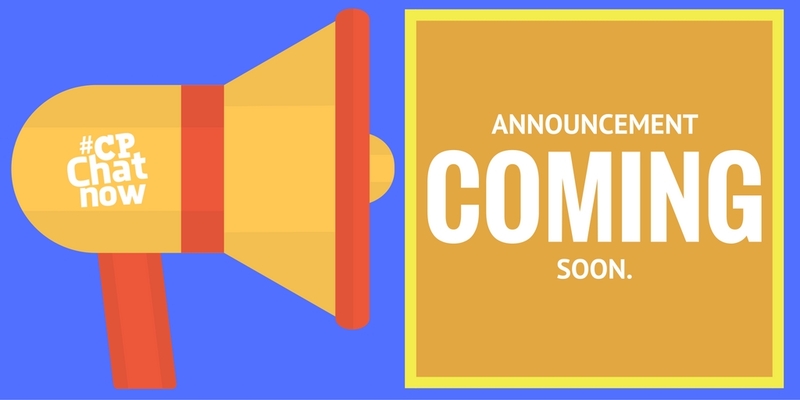 Please note Reaching for the Stars just launched CPTV in September 2016. So as time goes on, you can expect new content added. Actually the in-progress content library offered focus chat participants a unique opportunity. 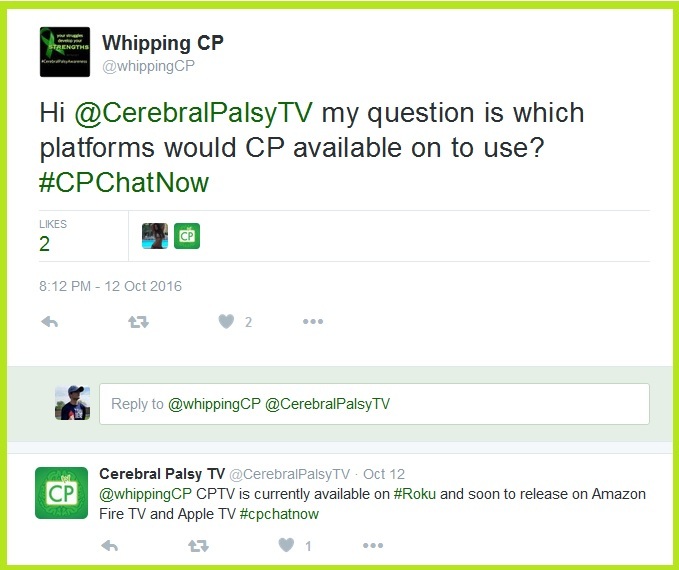 The chance to voice what they want to see on Cerebral Palsy TV! Leave your response in the “Comments” section. Make sure to share any specific content recommendations with CPTV directly. Get in touch with Brad via the Cerebral Palsy TV Twitter account or the Reaching for the Stars Facebook page. Recommend content and even inquire how you can assist. Follow the example set by members in our community. 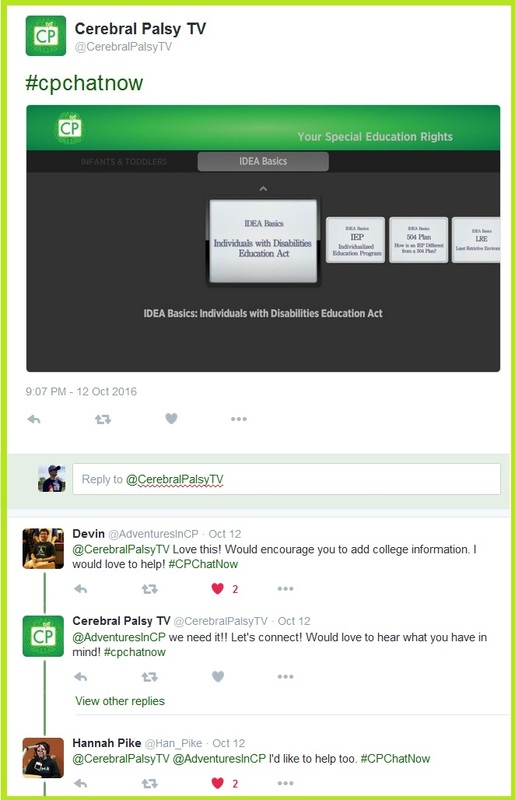 All in all the Cerebral Palsy TV focus chat appeared beneficial for everyone who participated. I know Brad deemed the night a success. How do I know? Afterwards he went live on Facebook with these comments. 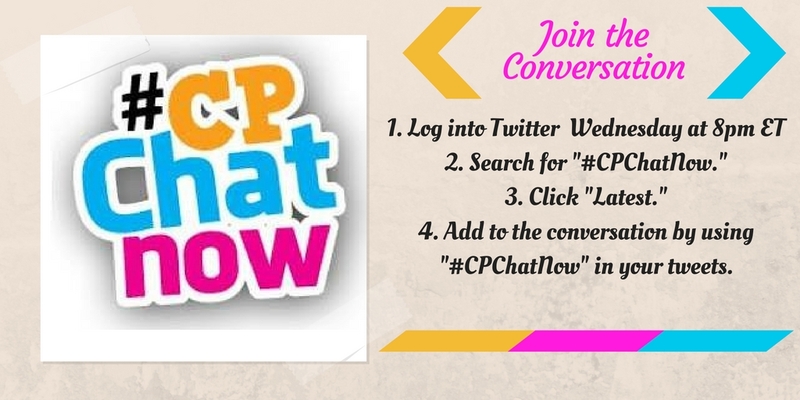 Personally, I found the night among the top highlights in my near three years co-hosting #CPChatNow. 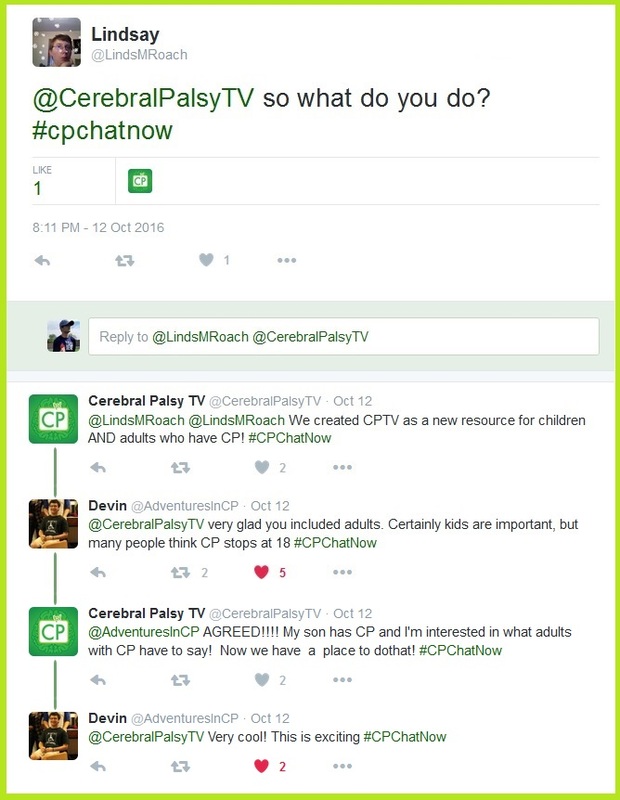 I truly believe CPTV can become a central resource for the cerebral palsy community. Watching ambitious members in our #CPChatNow community offer their help, filled me with great pride. 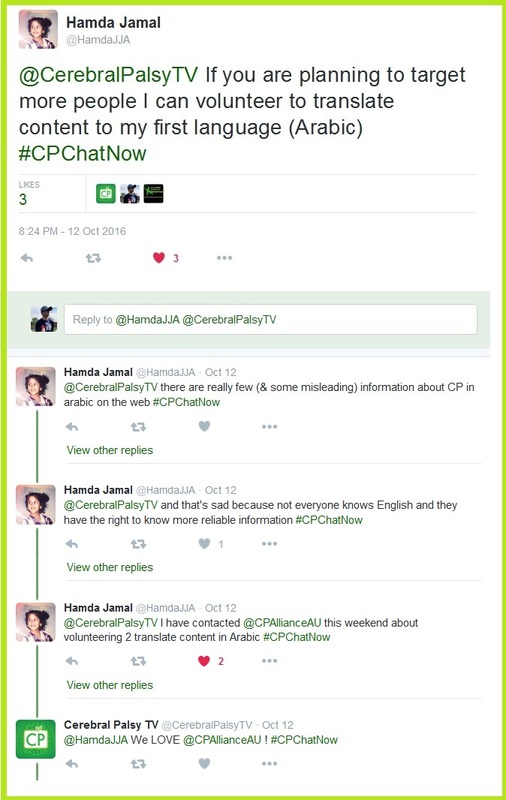 #CPChatNow and CPTV both work to bring the CP community together. Coming together makes us all stronger. Remember to build on said strength by answering the extend-the-conversation question. Respond in the “Comments” section below. 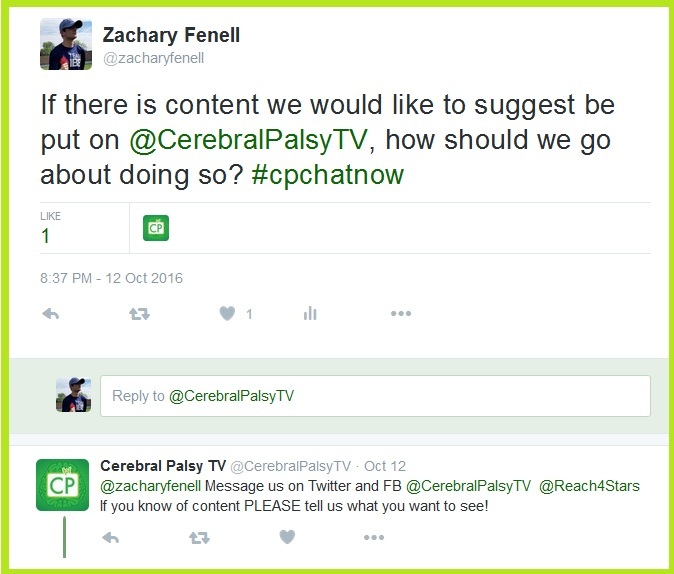 For specific content recommendations contact Brad via the Cerebral Palsy TV Twitter page or Reaching for the Stars Facebook page. Finally, thank you for making #CPChatNow an excellent community. We thrive thanks to you. 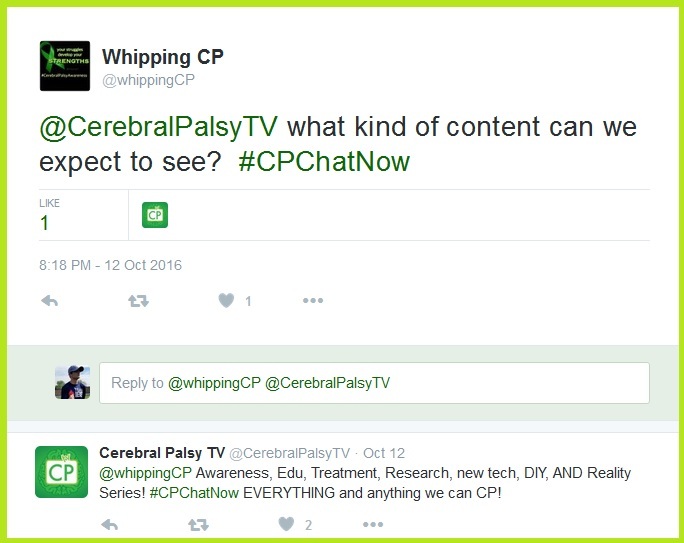 This entry was posted in Focus Chats and tagged cerebral palsy tv, cptv, Reaching for the Stars. Bookmark the permalink.